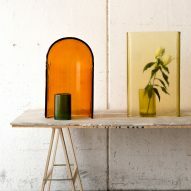 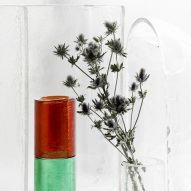 Ronan and Erwan Bouroullec have worked alongside master glassmakers in Italy to create a collection of handmade objects, which they liken to still-life paintings by Italian artist Giorgio Morandi. 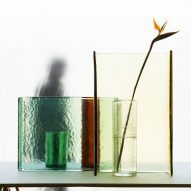 The Alcova collection, designed for Wonderglass, will launch at this year's Milan design week, which officially kicks off on Monday 17 April. 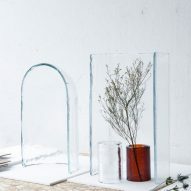 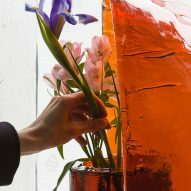 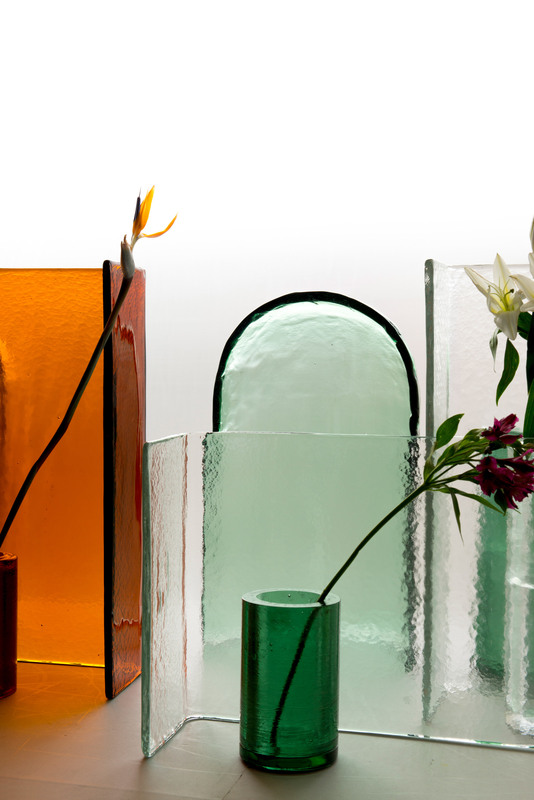 It includes a range of vases and objects each handcrafted by master glassmakers in Italy, using a process whereby molten glass is poured into wooden moulds. 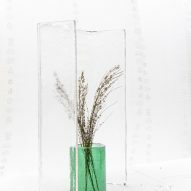 Using this "primitive" process allows for a variety of unique results, so each product differs slightly. 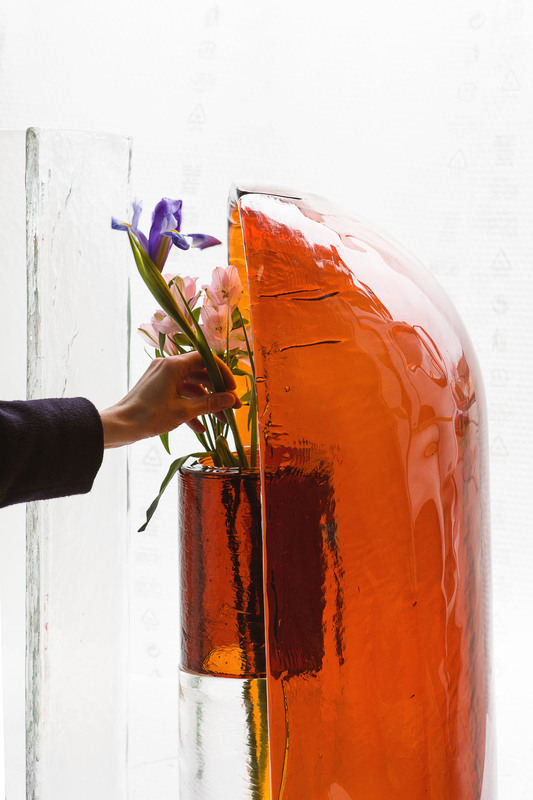 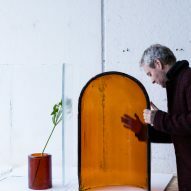 "It's a primitive technique of casting glass in an open mould," Ronan Bouroullec told Dezeen. 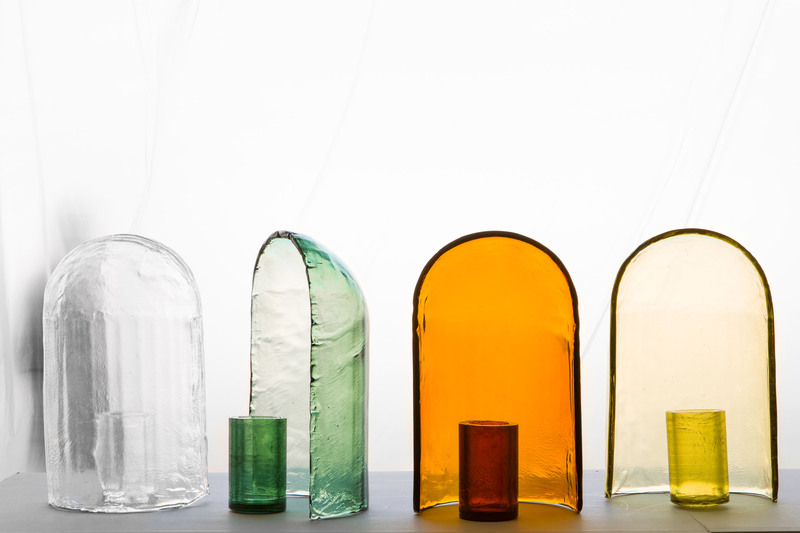 "At the beginning, the craftsmen were a bit shocked that we let the material be itself, as all their work is to try and be extremely precise." 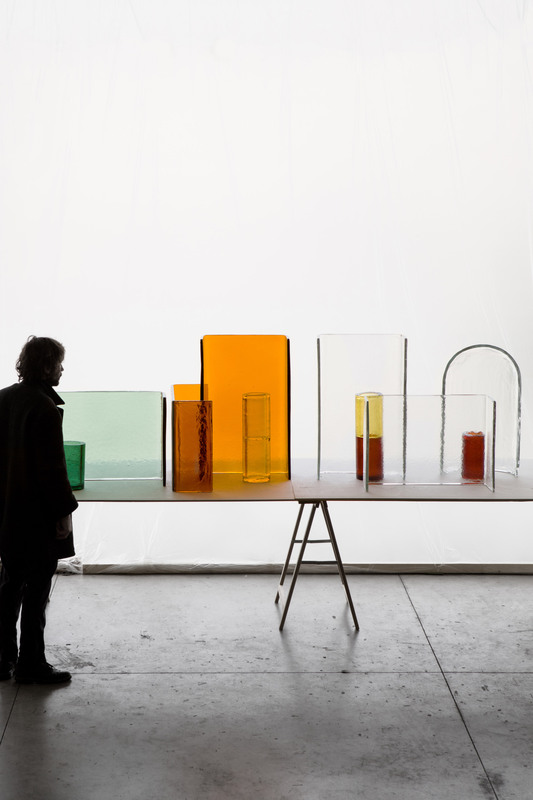 "We wanted to exactly the opposite, and play with the material's own movement," he continued. 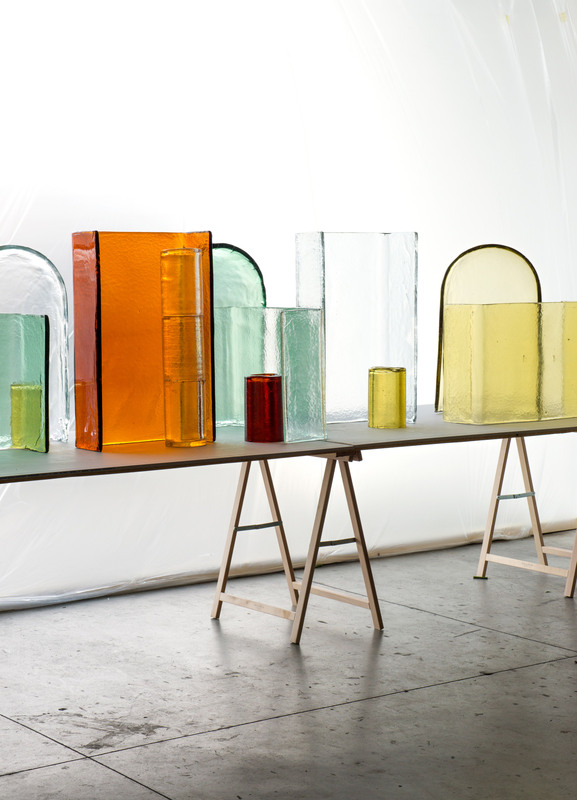 "In industry, we want things to be produced precisely and the same piece multiple times, we wanted all the pieces to be a bit different." 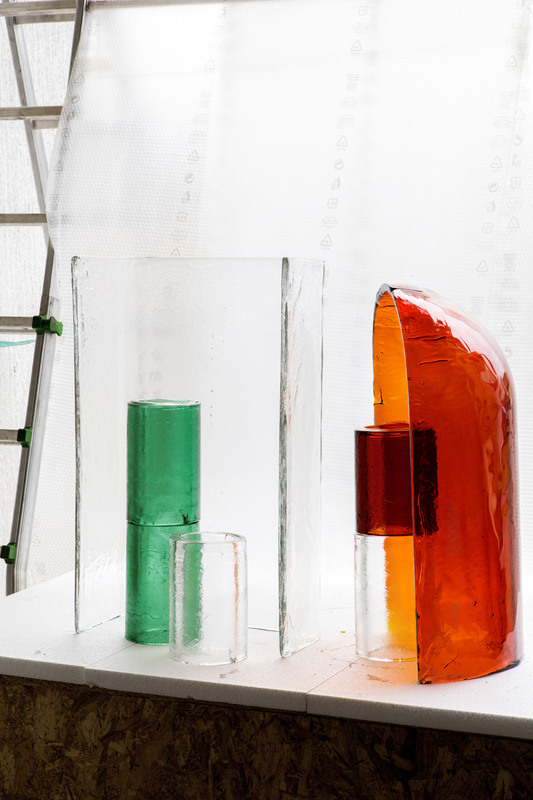 The geometric objects are designed to be grouped different formations – something the designer likens to paintings by Italian artist Giorgio Morandi. 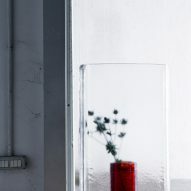 Morandi, born in Bologna in 1890, specialised in simple still-life paintings that typically featured vases, bottles, flowers and ceramics. 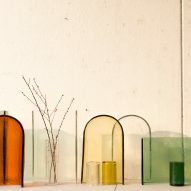 His colour palette was similarly simple. 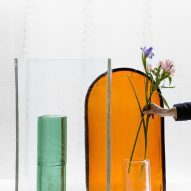 This is something the Bouroullec brothers also aimed to translate through their own choice of hues, which vary from bold orange to softer greens and colourless transparencies. 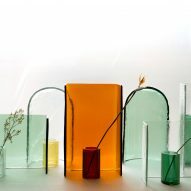 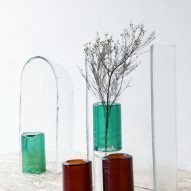 Wonderglass co-founder Maurizio Mussati said this would be the first in a series of collaboration with the design duo, who founded their studio in 1998. 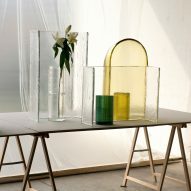 "We do not want to limit our collaboration to this first collection," he told Dezeen. 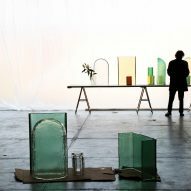 "WonderGlass, together with the Bouroullec brothers, have the ambition to challenge the technical and size limits used to characterise 'cast glass' in a continued research of cutting-edge design fixtures." 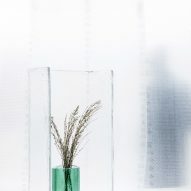 The Alcova collection will launch during this year's Milan design week at Istituto dei Ciechi, Via Vivaio 7. 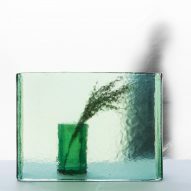 Here, Wonderglass will also present the results of their collaborations with designers and brands including Fornasetti, Dan Yeffet, Studiopluz and Raw Edges. 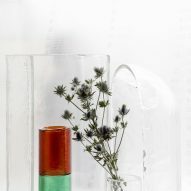 Dezeen's top picks of things to visit elsewhere in the city include an exhibition exploring "the making of modern Norway", and a celebration of vegan design. 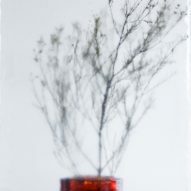 Photography is by Claire Lavabre.